Yes, you read that right. While we’re a few weeks away from the Note 9’s launch, it seems that there’s a really big possibility that this could very well be the last Note phone to ever be made. This thought has been one that’s not far from happening — in fact, it’s been discussed on various platforms since a year ago when the S8, S8+, and the Note 8 were unveiled. 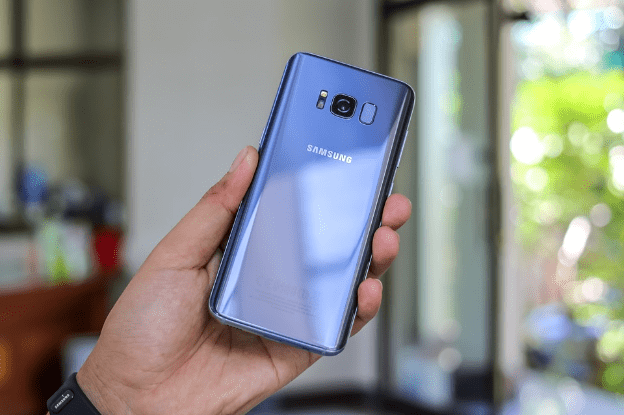 There have been rumours circulating that Samsung is set to release three variants of the S10 series next year, each with different size configurations. The suggestion here is that the S-series is likely to be merged with the Note series. This makes all the sense in the world after all, especially when you take a look at the Galaxy S8+ and its 6.2 inch screen and compare it with the Note 8 with its 6.3 inch screen. The difference is marginal — save for the S-pen, the slightly larger screen, and the slightly smaller battery, everything else is incredibly similar. The problem here is that Note sales have been dwindling for the past years since the Note 7 fiasco. The brand may be alive, yet badly bruised, especially with how Samsung has been playing safe with its specs by keeping the battery capacity at rather tame levels, which to me goes against what the Note series stands for. The Note series used to be battery kings with large screens, and of course, the S-Pen. It used to be the top-of-the-line phone in Samsung’s arsenal of solidly-built phones. But since the Note 8, it’s been apparent that this is no longer the case. However, with the Note 9, it seems that Samsung is making a valiant effort to reestablish their Note line. The Note 9 is rumored to come with a 4000 mAh battery, Bixby 2.0, and a Bluetooth-enabled S-pen. Now, all that’s left to determine is the price of the phone. But despite this, the advantages of pushing through with the S and Note line merger are extremely practical. Samsung could potentially reduce production costs and marketing costs as well with the merger. Then there’s the Galaxy X foldable phone that’s coming up next year. Could it be possible that the X is meant to replace the Note? We can’t know for sure until they make the Note 9 announcements on August 9, 2018. Another aspect to consider is the Law of Diminishing Returns. The leap from the S7 Edge to the S8 series felt entirely like a timelapse into the future. The design language therein has been altered forever and this 18:9 aspect ratio was adopted by almost every phone manufacturer. But with the Note 8, the sales were not as expected. It wasn’t as well-received as the S8 because it was seen as an incremental upgrade to the S8+. You see, the Law of Diminishing Returns is the reference point at which you begin to receive less and less benefits for more money. And that seems to be the case with the Note 8. It just isn’t a compelling offering when compared to the S8+. Samsung is attempting to correct that with the Note 9’s offering, which in my opinion, is going to be a good phone. You can definitely expect to see a good number of Note 8s on the resell market. And for those who think that the Note 9 isn’t worth their money, and they instead would rather go for last year’s Note, BankMyCell should be one of the first sites to visit to get some quick cash for an upgrade. They offer a compelling trade-in comparison service where you can get multiple quotes instantly on your old phone — just pick the best offer and ship the device for free. Once the buyer checks the condition of your phone, you can get your cash almost instantly to buy a new phone. The sad thing here is that the Note series, save for the Note 7’s tendency to explode, was a series that was lauded for having the best hardware that you could find in any smartphone at the current year. Back when the iPhone was released, the Note that corresponded with it came with a 5.3 inch screen. That’s a bore by today’s standards, but back then, that screen dwarfed the iPhone 3.5 inch screen. It was considered to be a giant screen that came with a really big battery. The Note series seems to have lost its identity after the Note 7 disaster. The redemption in glass, which would have been the Note 8, wasn’t as successful as it should have been. Most of that can be attributed, once again, to the Law of Diminishing Returns. Currently, Samsung has every reason to end the Note line. That’s a given, especially from what we’ve seen with how Samsung’s been playing it safe with its two most recent Note phones (if you include the recent Note Fan Edition, which also came with a toned-down battery). But what I simply can’t wrap my head around is the fact that the Note series seems to be ending its run with a whimper rather than a glorious roar, like that final Leonidas scene in 300. This is because the Note 9 is rumored to come with an even higher price tag than the Note 8, which, in my honest opinion, is an outrageous price to pay for a smartphone. With a starting price of $1,200, the Note 9 seems like such a bad deal considering what you’re getting, and that’s not even considering that the recently released S9 Plus has comparable specs. It just seems like a step in the wrong direction and I fear that if people do buy into the idea that a $1000+ smartphone is a smart purchase, then that’s only sending the message to other phone manufacturers that it’s alright to charge this much money for a phone. We are slowly easing ourselves into a pit that we once thought we’d never even think of going into. Now, I’m not telling you not to get the Note 9. If you want it, and you have the means to get it, then go ahead. What I’m simply trying to emphasize is to see if what you’re paying for is truly worth the money.